Priscilla Chan: Too many students in elementary school are reading below their grade level, a huge educational disadvantage that can potentially set them back for the rest of their lives. That’s why we’re announcing support for Reach Every Reader, a new initiative aimed at gaining a better understanding of how children learn to read so we can ensure that all can thrive and succeed as readers from an early age. 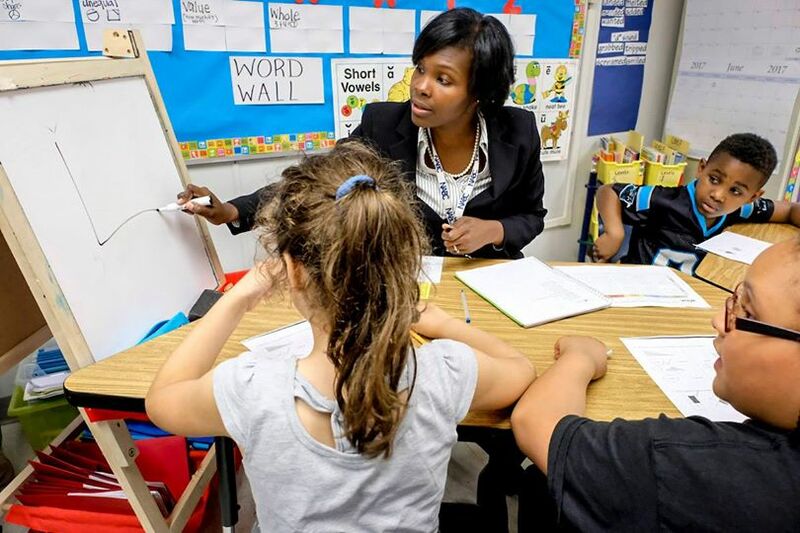 This initiative will be led by cutting-edge neuroscience and education research teams from the Harvard Graduate School of Education, and Massachusetts Institute of Technology (MIT)’s Integrated Learning Initiative, in partnership with The Florida Center for Reading Research and Charlotte-Mecklenburg Schools. This group will focus on applying learning science, neuroscience and cognitive science to engineer tools that identify learning barriers students face early on and offer personalized support to students, parents, and educators. We believe this research will help us reimagine how reading is taught by taking into account the different ways students learn — ultimately helping to build a better future for all students. In addition to support for Reach Every Reader, the Chan Zuckerberg Initiative is proud to be investors in Age of Learning to help young learners build a strong foundation for success in school and beyond, with a particular focus on early literacy skills. According to The Nation’s Report Card, two out of every three children in the U.S. are not proficient in reading by the time they reach fourth grade. Age of Learning seeks to change that – blending education best practices, technology, and creativity to build engaging and effective learning tools for young learners and their families. It’s already made an impact: the company’s flagship program, the comprehensive online curriculum ABCmouse® Early Learning Academy, is regularly ranked as a leading children’s learning program, helping millions of students develop a love of learning from an early age. In several rigorous large-scale research studies, ABCmouse has been shown to improve school readiness and drive significant gains in early literacy and math skills. We’re eager to support the growth of this valuable resource, particularly for children who don’t have regular access to high-quality early learning experiences.